The aim of this Pixel 2 XL project is to make available, all the files needed to unbrick the device for which it is targeted; the Google Pixel 2 XL. By the time this unbrick project is completed, we aim to have had and tested all the files required to unbrick most hardbricked Google Pixel 2 XL. Welcome to Google Pixel 2 XL unbrick project page on ArykSTORE. The aim of this project is to make available, all the files needed to unbrick the device for which it is targetted; the Google Pixel 2 XL. On this page, we would be given you the status updates on the progress of the work towards unbricking hardbricked Google Pixel 2 XL. Recently, on the 16th of March, 2019 (to be precised); Muhammad Shohayeb contacted us regarding solution to recover a hardbricked Pixel 2 XL device but unfortunately, we were not having a solution to recover the device. Meanwhile, as is our practice, if we do not have an unbrick project opened for a device whose solution is requested by a follower, we put it forward to such person if he or she could sponsor the Unbrick Project by being the initial sponsor. Mohammad agreed and made the initial payment of $21 USD hence, we commence work and opened the unbrick page for the Google Pixel 2 XL. Though, not completed; we are optimistic we would provide full working unbrick files that could unbrick hardbricked Google Pixel 2 XL soon. The Google Pixel 2 XL is powered by Qualcomm having MSM8998 Snapdragon 835 as the chipset. The device is loaded with Android 8.0 Oreo (factory) running on a 64GB or 128 GB of ROM and a 4GB RAM. 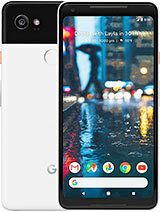 See Google Pixel 2 XL full specs here. Typically, the aforementioned specs are the major info required to work on the device unbrick project however, more info in greater detail have been gathered. Before anything can be done at all, it is essential that we lay hands on the device in question so that we may be able to gather all the essential files (specific for the device) required to debrick and recover the device. To this end, we are looking to raise fund to purchase the device on Amazon or eBay and commence work asap. So far, we have been able to raise $175 USD leaving us with about $200 USD. So, if you would like to support this project, you can do so by making a fixed donation of $15 USD from the link below. 1. ONLY those who donated would be able to access the Google Pixel 2 XL unbrick files once they are ready. The access link to download the files would be sent to the e-mail address entered on the payment page. 2. We may abandon this project if we fail to reach the required amount in a reasonable time. 3. In the event that the project is abandoned, your donations shall be refunded in full. Similar to what we have done with the other devices such as the Moto Z Play, LG G4, LG V10, Moto X Pure among others, we would be attempting the loader method for reviving the Google Pixel 2 XL but since the Google Pixel 2 XL has no card slot, we're not certain that method will work. However, QFIL method appears to be the most promising method of reviving the Pixel 2 XL; that judging by our previous experiences from other similar devices. Because the device is a Qualcomm powered device, we would attempt both the QPST QFIL method and the loader method. Based on our previous experiences and the researches done, we conclude the loader method may not work 100% but, as for the QFIL, we're certain it will work and that would be confirmed as soon as all the files are made ready. Detailed instruction on how to use each of the files provided for each method would be discussed hereunder once we have made ready the files. Thank you and do stay tuned.